Left or Right is now also available as a floor and reading lamp. With a book storage and an optional coffee table. 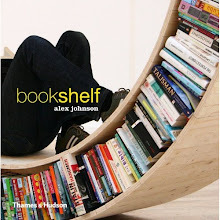 A pack of large-sized books, catalogues or magazines are responsible for the required stability of Left or Right BIG. A steel cover plate transforms the pack into a coffee table whose height can be adjusted to individual need. 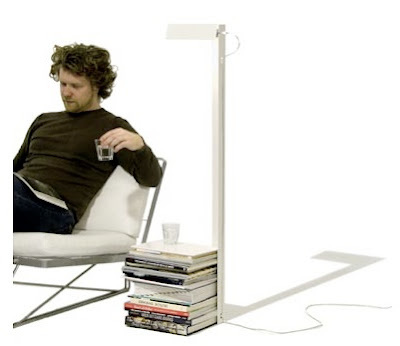 With a total height of 117 cm the lamp suits excellent as a reading lamp beside the sofa. Available in a left and right variant, powdercoated in white or black. Technical details: E27, 60 watt, pull switch, transparent cable 400 cm, dimensions 117 x 31 x 26 cm.